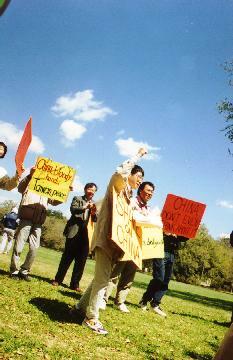 The first ever direct Presidential election in Taiwan was held on March 23, 1996. 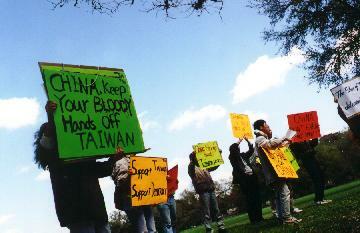 In an attempt to intimidate Taiwan and destablize the election, China conducted missile tests and concurrent joint military exercises close to Taiwan from March 8 to March 25. 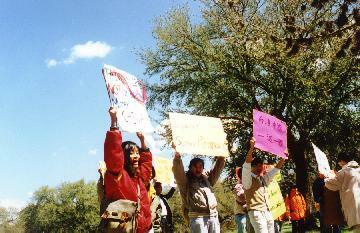 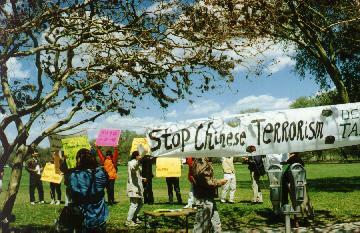 LSU TSA staged this demonstration to protest the Chinese barbarian behavior.